This Tuesday sees the members of Wythall Radio Club enjoying the second presentation put together by our national society, the RSGB, to celebrate its centenary. Continuing our look at the last 100 years , the focus this week will be on a closer examination of the role played by Radio Amateurs during the two World Wars. Upon the outbreak of both wars, Amateur licenses were inevitably revoked and precious few transmissions were heard on the bands. However, that is only half of the story, as Amateurs then gave their considerable skills to serve their country in its severest hour of need. 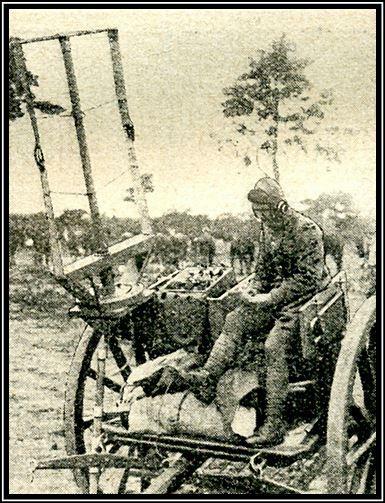 Stories abound of how these radio enthusiasts literally helped win the wars. We have all heard about the interception and decryption of the German Enigma codes, but there are many other stories of Radio Amateurs’ service to be discovered. 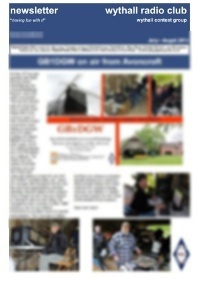 The presentation takes place this Tuesday evening in the Club Shack in the basement of Wythall House. Visitors are welcome as always, so if you would like to come along, head for Silver Street, B47 6LZ . The evening starts at 2030 with drinks from 2000 onwards. See you there! More BBC links at Wythall Radio Club! As if it weren’t enough that we have a story involving the BBC below, this Tuesday we have a BBC employee coming to give a presentation for us! Dogger, Fisher, German Bight? 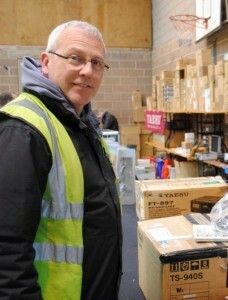 Jim G4AEH is a man who may actually understand the shipping forecast! Jim Lee is one of the voices of Radio 4, a continuity announcer if you like. Well someone has to introduce the Shipping Forecast! However, Jim is also a licensed radio amateur, holding the callsign G4AEH. He is also known to many radio hams across the UK for his appearances at the RSGB National Convention where he acts as chief compere. This Tuesday 20th May, Jim is visiting Wythall Radio Club to give a talk entitled “From Top Band to Radio 4” which will look at varying aspects of his life and hobby. We are very much looking forward to welcoming Jim to Wythall. Why don’t you come and see too? This Tuesday at 20:30 in the Darts Room at Wythall house, Silver Street, Wythall B47 6LZ. Rob 2E0MEX contemplating buying a new rig! 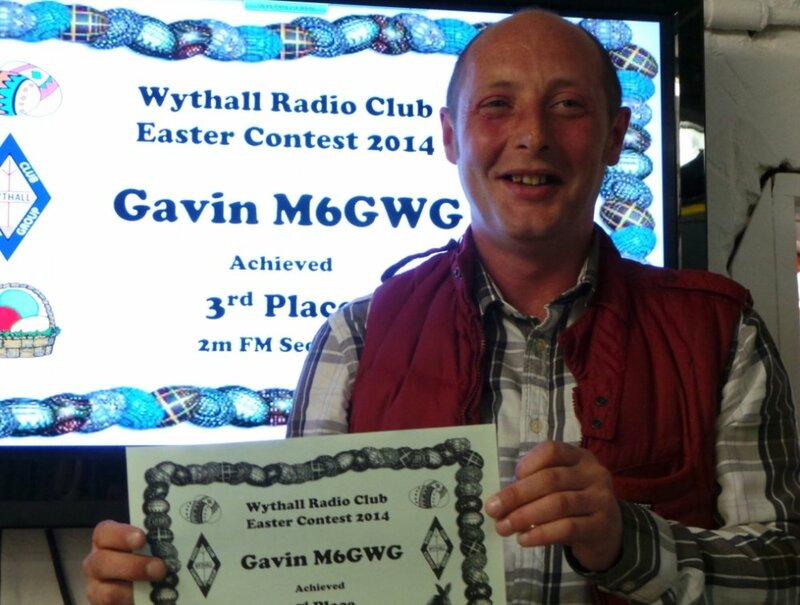 Regular readers of this website will know that quite a few members of Wythall Radio Club have had a lot of media publicity, especially in the last year or two. Well here is a slightly sideways appearance on local TV, courtesy of Rob 2E0MEX. 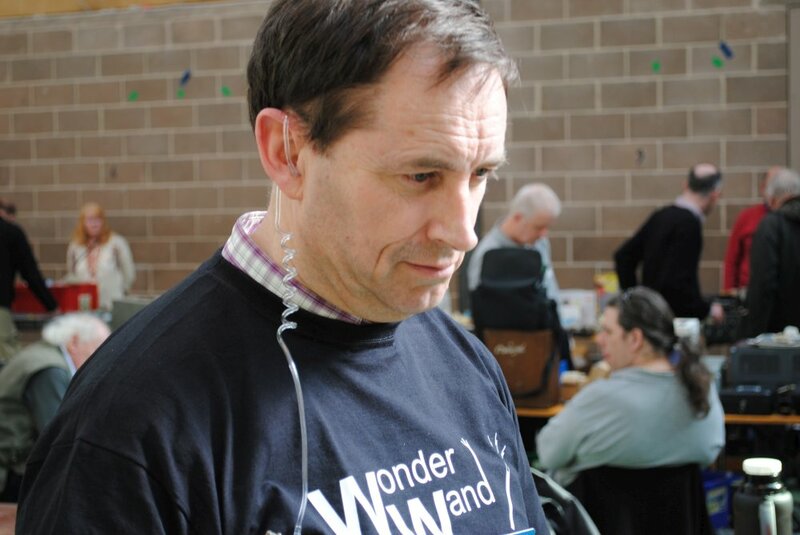 In a recent BBC Midlands Today piece, our friends at Coventry Amateur Radio Club put on a special event station to commemorate the birth of Birmingham comedian Tony Hancock (GB8TH) and ran it from his birthplace in Hall Green – and the first callsign they are heard working is… you guessed it… Rob 2E0MEX! 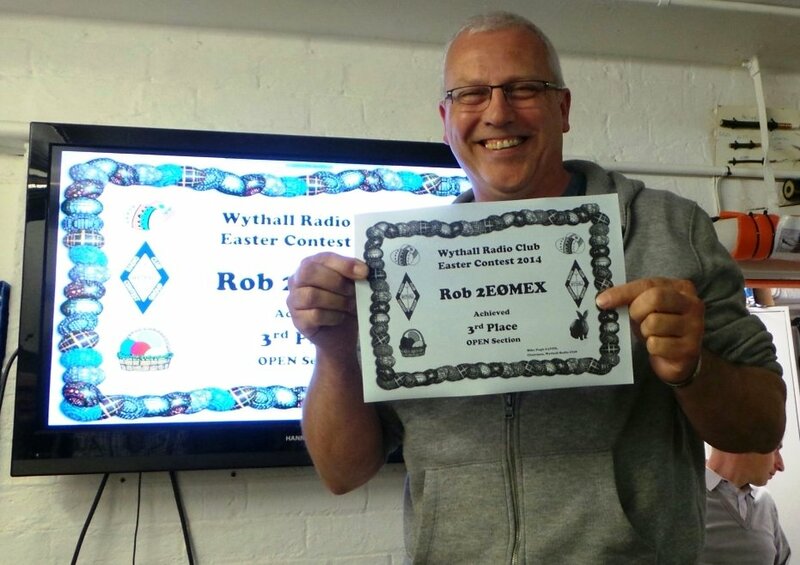 Of course, this comes as no surprise to Wythall members – Rob is one of the most active members on 144 MHz FM, especially on our club channel of 145.225 MHz. He works as a courier and is often out and about mobile, so has many opportunities to get on the air. Nonetheless, rather a nice little mention of his callsign on the BBC. Well done, Rob! Watch out D-STAR, the Voice of the Midlands is coming! The members of Wythall Radio Club are preparing for a very special occasion this week, the 80th birthday of one of our long-standing members. Jim 2E0BLP is a grand fellow who is Wythall to the core! Often to be heard on the club frequencies, Jim has a very distinctive voice and with his broad “Brummie” accent has become known in these parts as the “Voice of the Midlands”! 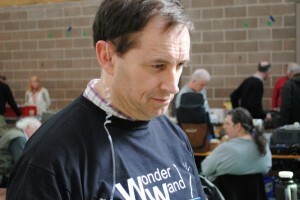 Anyone in the local area cannot fail to have noticed his strong signals especially on 2m FM. 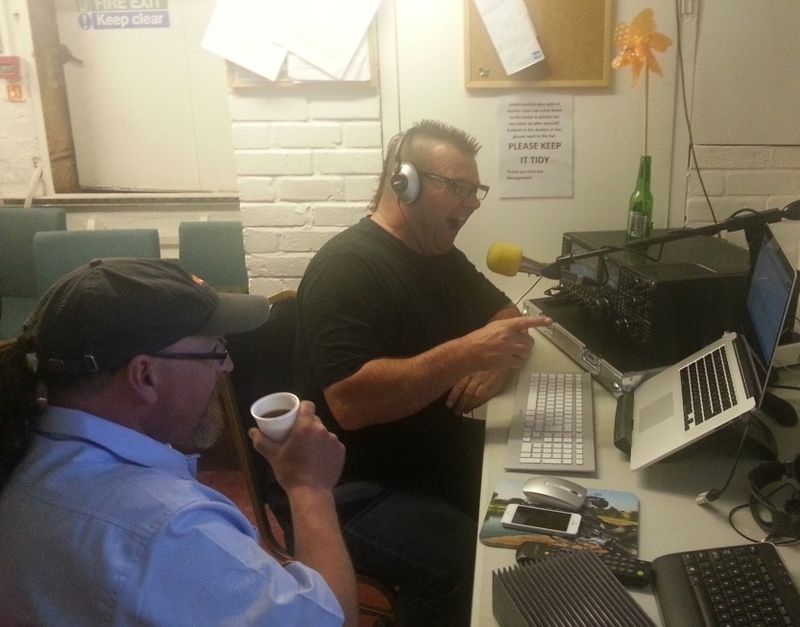 Jim was a very active CB-er many years ago and becoming somewhat disillusioned with the behaviour of some on those bands, he migrated to the Ham bands where he has found a home at Wythall Radio Club. 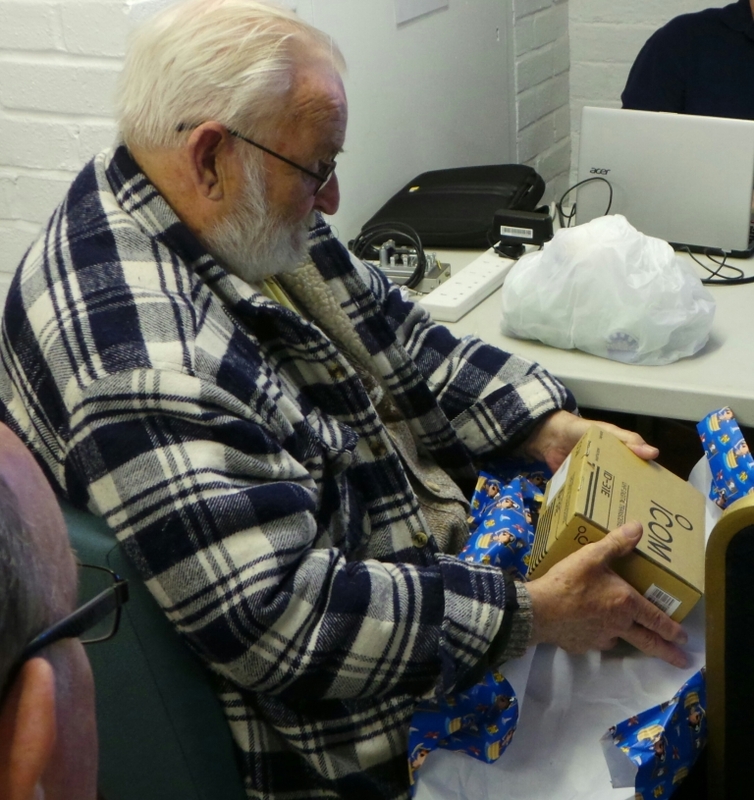 We will be celebrating in style this Friday (his actual birthday) but meantime at last night’s Committee meeting, Jim was presented with an Icom ID-31E, bought for him by all club members chipping in. Welcome to the Digital age, Jim and here’s to another 80 years! Mills on the Air… with a difference! 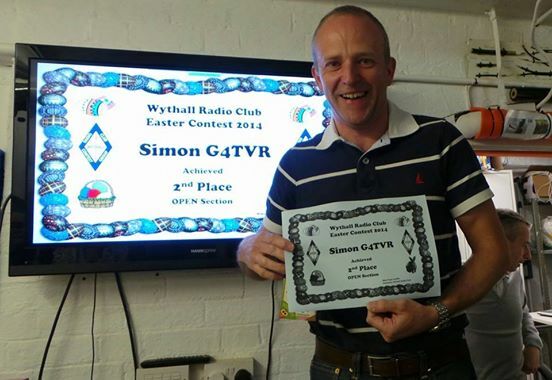 This weekend, members of Wythall Radio Club have been enjoying getting on air. In the UK we have an activity where radio enthusiasts activate many of the various Mills that dot our country. Called “Mills on the Air” it attracts a lot of folk, both activators and chasers. As sometimes happens, this year our original plans were scuppered at the last minute, so we instead went indoors to the club shack and activated the callsign we had applied for, GB2DGW (Danzey Green Windmill) from Wythall. The actual mill itself is now housed in a museum of buildings, but our shack is, in actuality, closer to its original location than where it is now, so we felt justified in continuing our activation. And just to make us feel at home, Phil 2E0WTH provided a small device to sit on top of the radio to remind us we were really a mill on the air! Great fun! 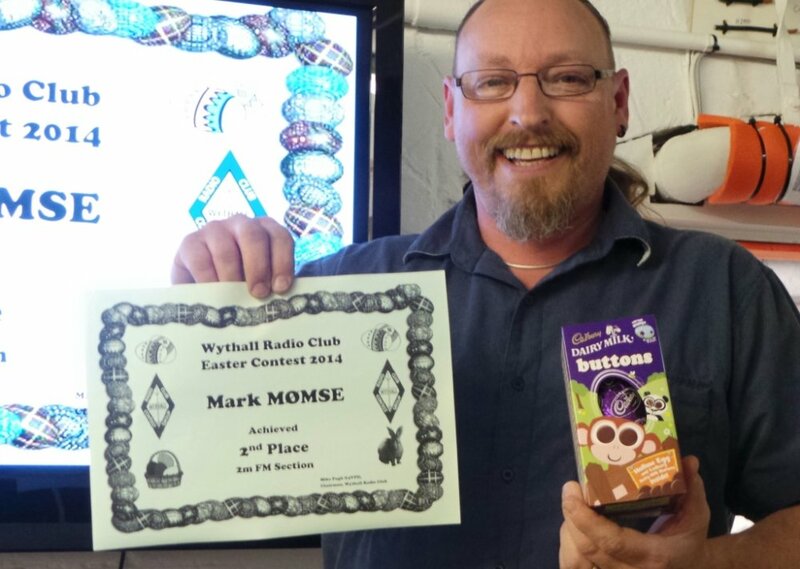 Quite a few Wythall Radio Club members are celebrating a late Easter this morning. That is thanks to the prizes they have garnered as the winners of our Club Easter Contest! 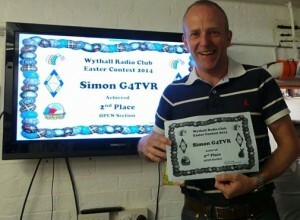 Simon G4TVR was delighted to finish 2nd! Why?? 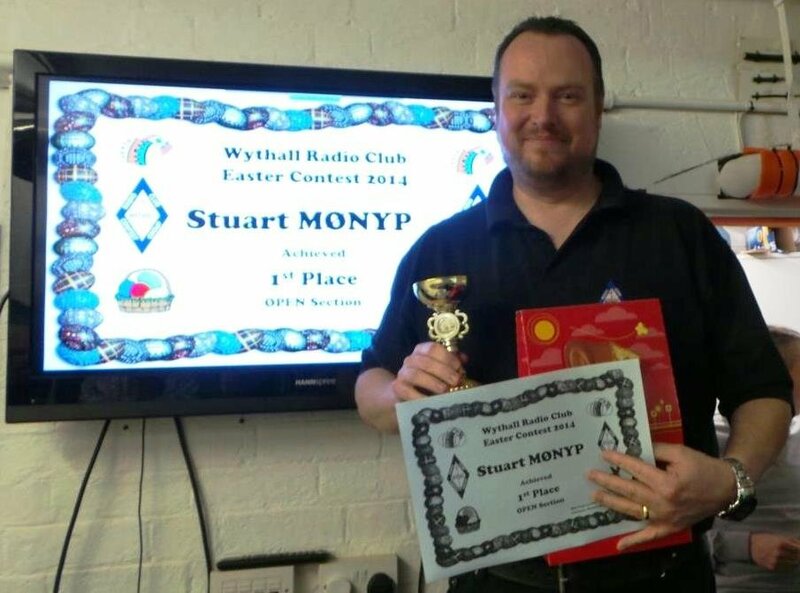 With chocolate eggs on offer as prizes, there was quite a flurry of activity on the air over the holiday weekend and at the results evening last night, Stuart M0NYP scooped one of the top prizes as winner of the All Bands section. 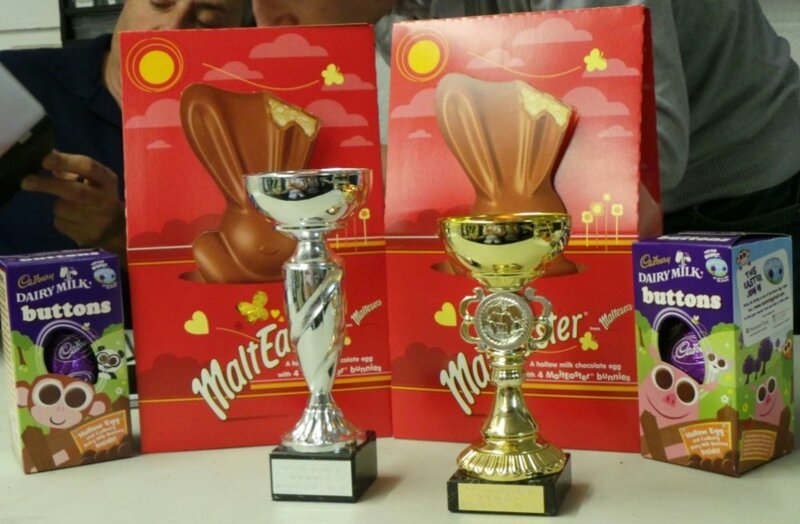 A large Easter egg, a smart certificate and a special trophy in memory of Walter M0GRO was his reward. Kevin M6NCO took away a similar batch of goodies for winning the 144MHz FM section. No surprise really, as the usual regular winner, his dad Jim 2E0BLP, has trained him well! Second place Easter Eggs went to Simon G4TVR & Mark M0MSE and third place mini eggs were the rewards for Gavin M6GWG and Rob 2E0MEX. 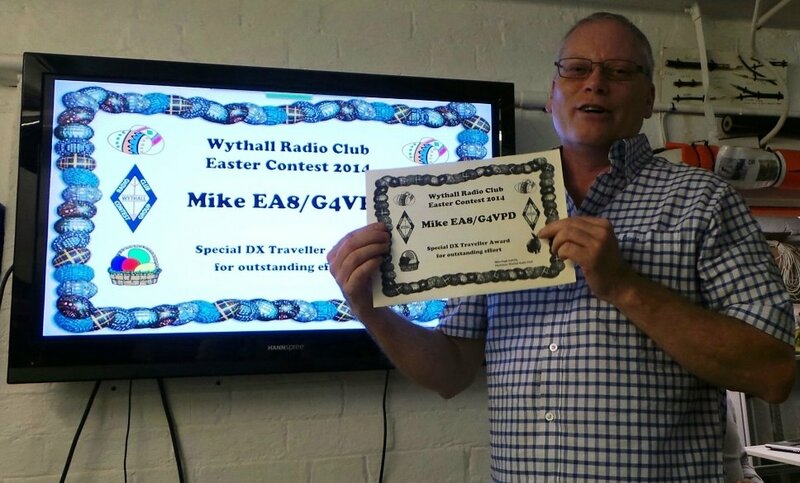 Chairman Mike G4VPD picked up a special certificate for operating from his holidays in the Canary Isles back to Wythall to add some spice into the contest. Now everyone is looking forward to our Club Christmas Contest again – but hang on folks, there’s the summer and autumn to have some fun with RF yet! Now click on the thumbnails below for a look at the happy winners! 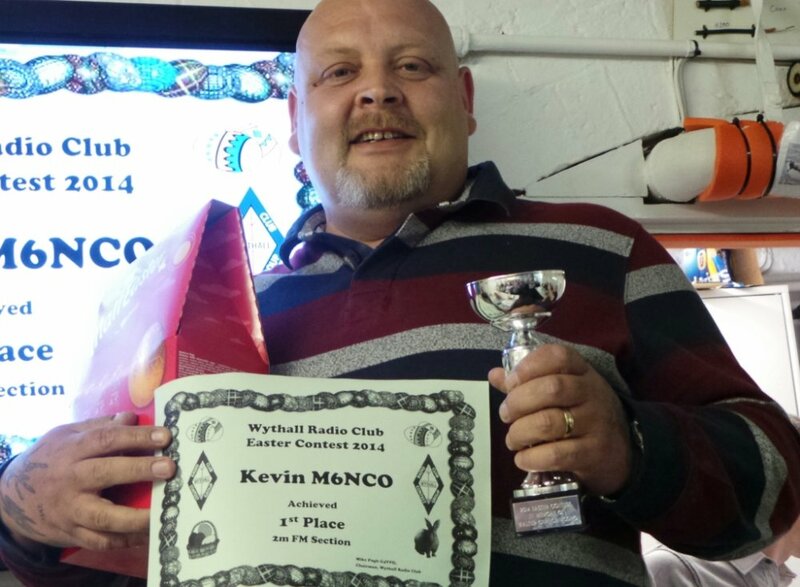 Members of Wythall Radio Club are in sad mood at the moment. Walter M0GRO, one of the members who we have known right from his first steps in the hobby of Amateur Radio, is sadly no longer with us. Walter passed away a few days ago – his funeral service is tomorrow morning, Tuesday 6th May at 10.30 a.m. at the Robin Hood Crematorium in Shirley. 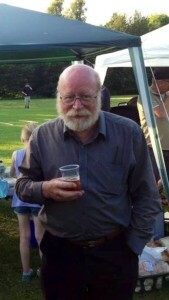 The wake is being held where he spent so much of his time with us, at Wythall House, our club meeting place. Walter studied with Wythall Radio Club for his Foundation licence in Oct 2008, taking his Intermediate in January 2009 and eventually his Advanced Exam in Dec 2009. Though he was not one of the most active members on air, Walter was liked by all for his quiet strength and wise sayings. He was also a lover of good ale! He will be sadly missed by all members of WRC. A fuller appreciation is available on this website here. Meantime, the winner of our Easter Contest this year will receive a special trophy in memory of Walter, who was always one for getting involved in our internal Club Contests. Now we are into the month of May, the thoughts of Wythall Radio Club members turn to a special event in honour of a special person. Former Club President, Lew Williams was not actually a licensed amateur but was a grand man who taught many members of our club the joys of Morse Code (CW). When Lew passed away, it was thought appropriate to honour his memory in a suitable manner and so the “Lew Williams Shield” was born. Current Club President Chris G0EYO was the first winner of the trophy and last year it went to a Founder member, John G4OJL. 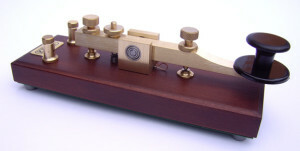 To kick off this year’s event, we are “Having fun with Morse Code” as a hands-on taster evening for all members next Tuesday 6th May. This will be led by John M6KET and Chris G7DDN who have been leading the revived Morse Code class for the last 3 years or so. There will be something for everyone so no need to be apprehensive, even if you have never tried Morse Code before! 2030 in the Club Shack at Wythall House B47 6LZ. We hope to see you there.